Though there still is a lot of confusion about the law, many sole proprietorships already are making plans. NEW YORK — As Congress debated a new tax law at the end of last year, Jerell and Elissa Klaver began revising their company’s plans for 2018. The Klavers crunched the numbers, estimating how a lower tax rate and bigger deductions on equipment purchases could help increase their sales of bath soaps and other personal care products. They’ve already hired an engineer to create new manufacturing machinery for their company, Fort Collins, Colorado-based SALUS. S.D. Strong Distilling produces 1,500 to 2,000 cases a year of bourbon, rye, vodka and gin. “For our business, pennies add up. If I can save a penny, it gets big really fast,” Jerell Klaver says. Although there are still many unknowns about the tax law that took effect Jan. 1, some small business owners have already figured out that they stand to gain from some of its changes and are changing their plans to maximize their benefits. Some believe they’ll get a break on income taxes for sole proprietorships, partners and what are called S corporations. Those who buy new computers, vehicles or other equipment can take a bigger deduction. Klaver estimates SALUS will save $500,000 to $1 million in taxes in one year, partly from the breaks on equipment purchases. The law nearly doubles to $1 million the amount small companies can deduct up-front on equipment. It also allows companies of all sizes to fully deduct larger equipment and property purchases during each of the next five years rather than depreciate them over years, the requirement under the previous law. New manufacturing equipment will help SALUS meet increasing demand for its products. Klaver also expects to save enough money to add to the staff of 60. Many owners and their tax advisers, though, are still unsure of the law’s impact. The wording of the law is complex, containing many limitations on a number of breaks for individuals and businesses, and the IRS has only recently begun writing the thousands of pages of regulations that will detail the requirements. It will take months for all of that to be written, and some may be proposed or temporary, says Manuel Pravia, a certified public accountant with MBAF in Miami. And, as was the case following a tax overhaul enacted in 1986, Congress may need to make some revisions, he says. Tax professionals advise owners not to rush into decisions based on what they believe they know about the law. “There’s confusion out there and confusion is never good for those kinds of decisions,” says Michael D’Addio, an attorney at the accounting firm Marcum in New Haven, Connecticut. His firm has been doing tentative projections for clients about their taxes, but even the pros don’t have answers. “Hopefully the IRS will provide some guidance,” D’Addio says. One still-mysterious part of the law that’s critical for many owners involves “qualified business income.” The law provides for a deduction of 20 percent of the qualified business income of many sole proprietors, partners and S corporation owners who make up the vast majority of small business owners. But the regulations will need to spell out what qualified business income is under the law, and in turn, who’s likely to benefit from the deduction, Pravia says. Gustavo Mayen, who has a solo law practice, is holding off on hiring a paralegal while he waits for regulations about that provision to be written. “It’s not clear who’s going to get it (the 20 percent deduction) or how many hurdles there are,” says Mayen, whose practice is based in Milton, Massachusetts. Mayen is also concerned that Congress will continue to amend the Affordable Care Act and make it harder for him to get health insurance he can afford, “let alone being able to offer this incentive to prospective employees,” he says. Small businesses in some industries, including producers of beer, wine and liquor, already know they’ll benefit from the tax bill. These companies pay excise taxes on the beverages they produce or import. The law created tiers of excise tax brackets, and companies that produce no more than 100,000 gallons saw a reduction to $2.70 a gallon from $13.50. “It’s a welcome relief for us. 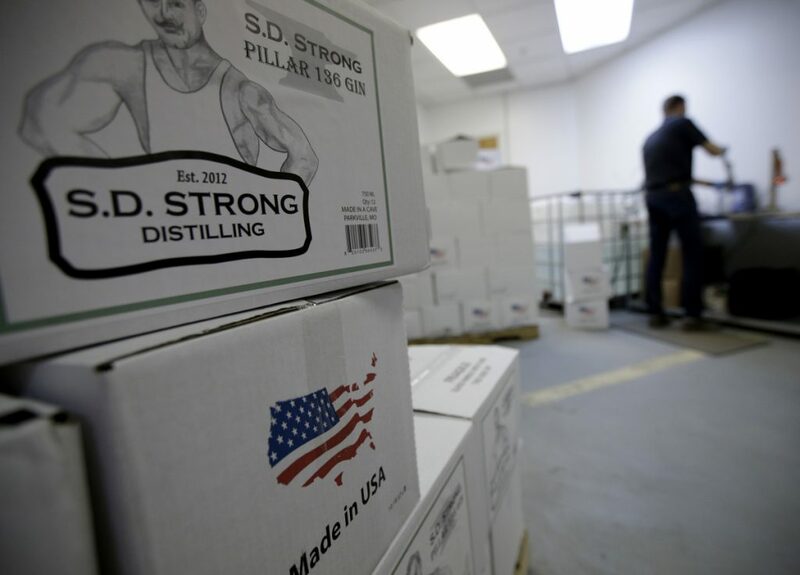 To pay same excise rate as the companies whose economies of scale have been radically different has been difficult for us,” says Steve Strong, owner of S.D. Strong Distilling. Strong produces between 1,500 and 2,000 cases a year of bourbon, rye, vodka and gin at his distillery in Parkville, Missouri. Big national brands turn out millions of cases annually. Strong will use the money he saves on excise taxes to bring in part-time help. “We’ll be able to hire at least two more people to help with promotion, sales, tastings – those things are the most important part of our business,” he says. He’ll also invest in a mash mixer, a machine that combines the grains that are key ingredients in distilled spirits; like many other small distillers, he’s had to cobble together equipment using tools like electric drills. The new law does include changes that can increase companies’ taxes. Businesses with more than $25 million in average annual revenue have lost the ability to fully deduct the interest they pay on loans, credit cards and other types of debt. That may affect their plans to borrow. And owners will no longer be able to deduct the costs of taking clients, customers and other business associates to dinner or to the theater, basketball games and other events primarily considered entertainment. Companies will have to decide if the goodwill created from taking people to such events outweighs having to foot the entire ticket price themselves.